Turn right at light onto Cerrillos Rd. 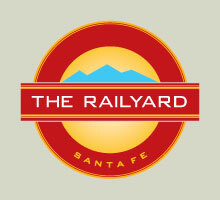 Parking is plentiful and convenient in the North Railyard. There are 400 spaces in the 3-level underground parking structure near REI and 500 surface spaces spread across The Railyard, both north and south of Paseo de Peralta. For Details on Parking Locations & Other Transportation Options, Click here! Garage: Open daily from 6 am to 12 am. Saturday, 5:30 a.m. to 12am.